Masserias are one of the most recognizable expressions of Apulian architecture. 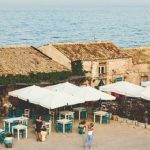 In Apulia you will surely find many types of masserias: from conventional to rural ones and from colonial to fortified ones. 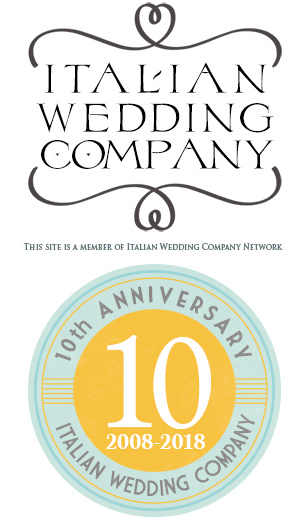 If you are looking for a very special venue to celebrant your wedding in Southern Italy this could be your perfect choice. 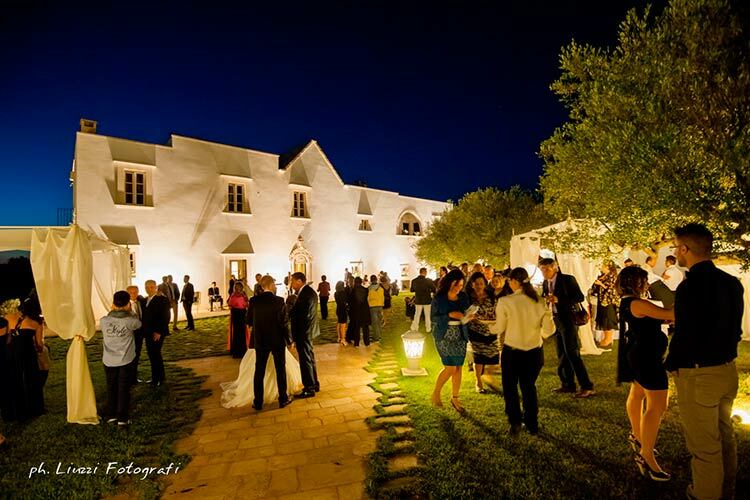 Masseria could be an original and traditional Italian choice to be different from the other weddings you have been to. We are here to suggest you these wonderful Masserias, located in the peaceful countryside of sunny Puglia region. Masserias used to be aristocrat houses. 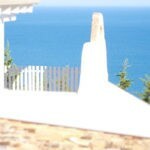 They have been built with typical local white painted stone, just imagine these wonderful white walls on the day of the wedding reflecting a warm summer sun. Just magic! Along the centuries asserias were partially converted into defensive structures with robust towers and walls. Preserving their charm, architectural characteristics, and mystery Apulian Masserias are completely restored today. 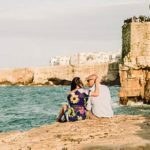 They can be compared to what in other Italian region are called Villas and they could be the perfect venue to celebrate a wedding reception and wedding parties in Puglia. Fine furniture , tapestry and soft furnishings carefully saved; lime painted walls, vintage and elegant floor delicately polished, high ceiling and arches, they are all evidences of a rich past! 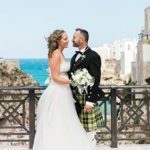 Masseria warehouse use to be the areas to deposit wheat, agricultural equipment but today they are perfect areas for your wedding reception. These wonderful rooms could be perfect for a romantic wedding dinner and what abour outdoor spaces? 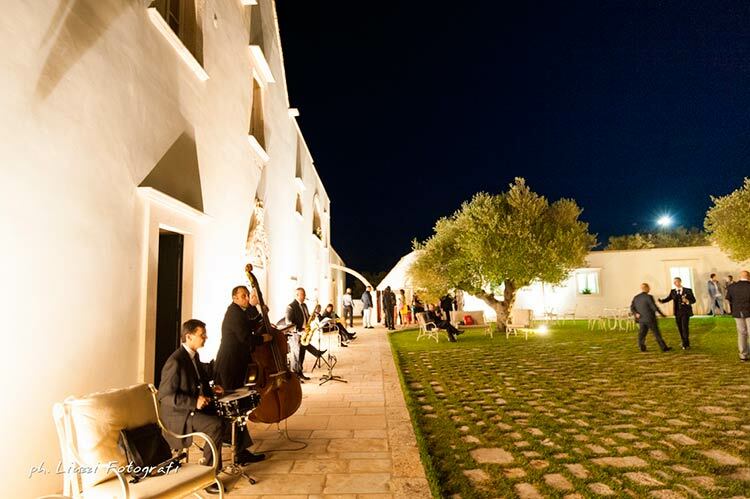 Outdoor dinners under Apulia starred sky or magic aperitif overlooking a breathtaking sunset. You could also think about an ancient olive press room where today you can plan your cocktails or welcome aperitif, to breath the a real traditional Apulian past. 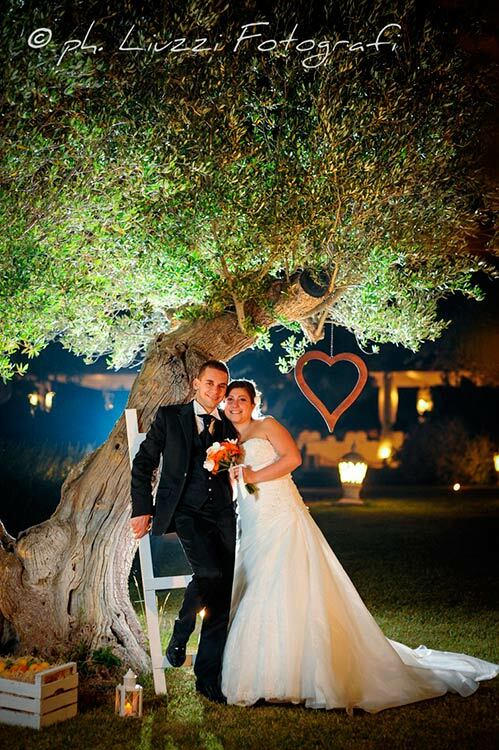 Ancient olive groves can right frame for outdoor wedding reception and why not? Even a wonderful symbolic ceremony in the wild nature. Let’s not forget about small and private family chapels that used to be part of Masseria properties. They are all perfectly restored in all their little detail to be the ideal venue for your wedding ceremony or wedding reception. Discover Puglia with us. 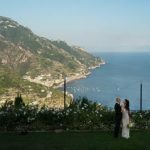 We will be happy and pleased to show you all features of this wonderful region for a wonderful sunny and traditional Italian destination wedding. 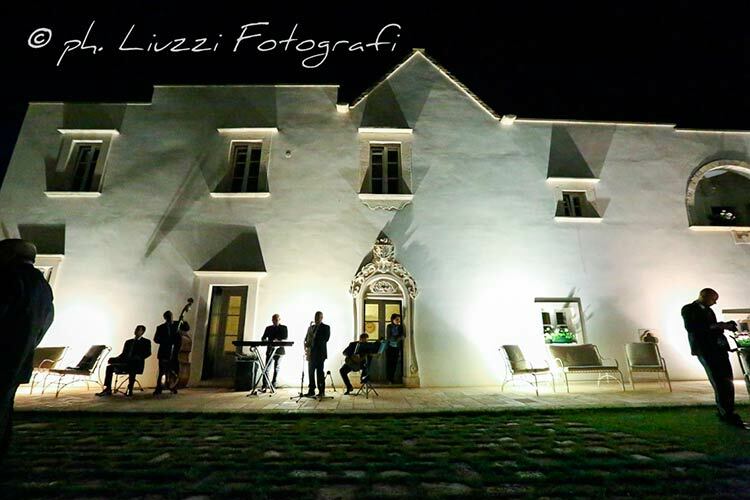 A huge thank you to Liuzzi Fotografi for these wonderful pictures!